Price Includes HST. You can also monitor and control your home’s temperature from your smartphone, tablet or desktop. The Ecobee 3 saves an average of 23% on energy every year, quickly paying for itself. Installed by a qualified HVAC technician that understands what all the wires are for and will verify equipment is working as designed on completion. Wifi must be ready to connect with password. 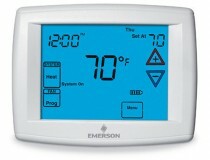 The Emerson Big Blue Humidity Thermostat offers the ultimate in comfort, convenience, performance and visibility. It features 7-day programming, a large 12” touchscreen, and humidification or dehumidification control. 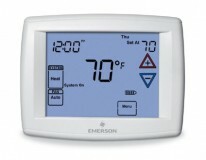 The Emerson Blue Easy Reader Thermostat offers 7-day programming on a 6” blue screen with large easy-to-read characters. 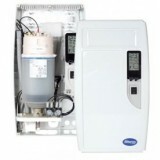 Features automatic changeover option and keypad lockout and setpoint temperature limit options. 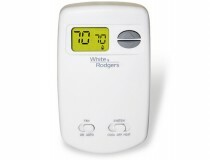 The Emerson Non Programmable Single Stage Thermostat offers simplicity. 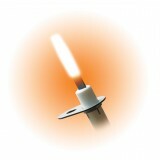 It is battery powered and has a lighted display that is easy to read in low-light viewing. 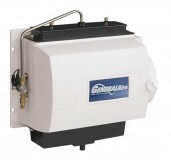 This GeneralAire Bypass Humidifier suits any forced warm air heating system. The hot air passes through the vapor pad adding moisture and comfort to you home’s air. No more cold showers, wasting energy and needed space taken up in your home. This unit saves room, money, and your time spent waiting for your water to heat up. Upgrade your breaker panel to a safer, larger capacity and available breaker. 100 amp, 32 circuit panel, ESA inspection is included. 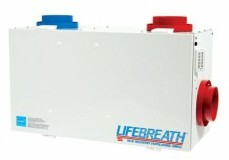 This Heat Recovery Ventilator (HRV) by Lifebreath acts as an air exchanger to remove lingering bad odors and improve the quality of the air inside your home. 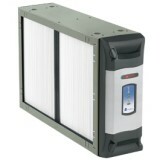 The Clean Effects™ by Trane is effective at removing up to 99.98% of airborne particles that pass by the filter. Up to 100 times more effective than a 1” standard filter. 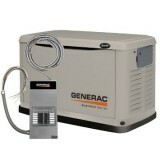 This 8kW Standby Generator with 100 amp transfer switch will ensure your essential appliances continue running during a blackout. This Steam Humidifier by GeneralAire keeps your home more comfortable delivering up to 12lbs/hour of moisture into the air. Comes with a 2 year warranty. 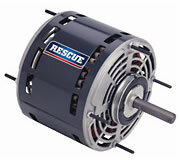 The ECM Rescue Motor can be up to 70% more efficient in continuous fan mode than a standard motor. It reduces hot and cold spots, making your home more comfortable. Place your high efficiency pleated filter in this custom built filter box to keep the components of your system clean and working at its best, catching up to 0.3 microns of dirt and bigger. 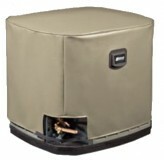 Protect your outside AC unit from harsh winter conditions with a Premium Protective Cover. Keeps snow and ice out, as well as leaves and debris. Extends the life of your unit. 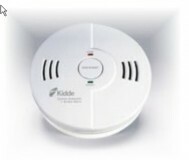 Alerts you to carbon monoxide (CO) which is an invisible, odorless, tasteless, non irritating, poisonous gas that is completely undetectable to your senses.